for the first year I'm growing with the three sisters method in a small portion of my garden. i was forced to move a mound in early June. the corn stocks in that mound are very short (about a foot tall). all the other corn on the other mounds are doing well. (my mother always said "knee high by the fourth of July"). all the rest are a little past my knees. I think moving the corn probably stunted it somewhat - in my experience, corn does not like to be disturbed once in the ground. They may or may not catch up with the others in the next month or so. Corn usually grows a very significant amount in the month of July, so they have a good bit of growing left before harvest time. Mine are knee high now too, I am loving the 'knee high by the fourth of july thing'. They have little tassels in the middle. This is the first time I have grown corn too, but my parents did it a few years ago and they had the little tassels on, in the centre bit. It stays on the plant and it will get higher and higher with the plant, it isn't the corn it is just a little bit of stuff! But, it is ok!! I wouldn't worry to much, it's early in the season and the plants will continue to grow. You may have smaller cobs but, I doubt it. If you do have smaller cobs, consider them novelties. At the end of the season, must mulch everything in place and add some of those great tree leaves to the soil and cover those with some manure. You are most welcome. You'll find next year that your corn will grow even better. And as the years go on (if you continue to mulch... this is also known as sheet composting) your corn and other plants will do even better. Sorry about the sore fingers - but the plants will appreciate your work! The quickest way I can think to point out the difference in a mulch and compost - take a stroll in a forest or some undisturbed stand of trees. The leaves laying all over the ground - that's a mulch, holding water in the ground, slowing erosion and preventing weeds and rotting over time. Dig down an inch or so beneath them, and there is this musty smelling black dirt that looks pretty rich in nutrients. That's a simplified compost that at one time was other leaves acting as a mulch. so,...i can gather leaves from my yard and just layer them through out my whole garden?... i have a abundance of oak leaves. they are pretty thick and poky...will they work? You can use Oak leaves but, don't use them where you grow corn or any other grasses because Oak Leaves contain a chemical called Coumarin that retards the growth of grasses. But, Oak leave are loaded with micronutrients. As are Maple and Apple have the largest array of micronutrients. 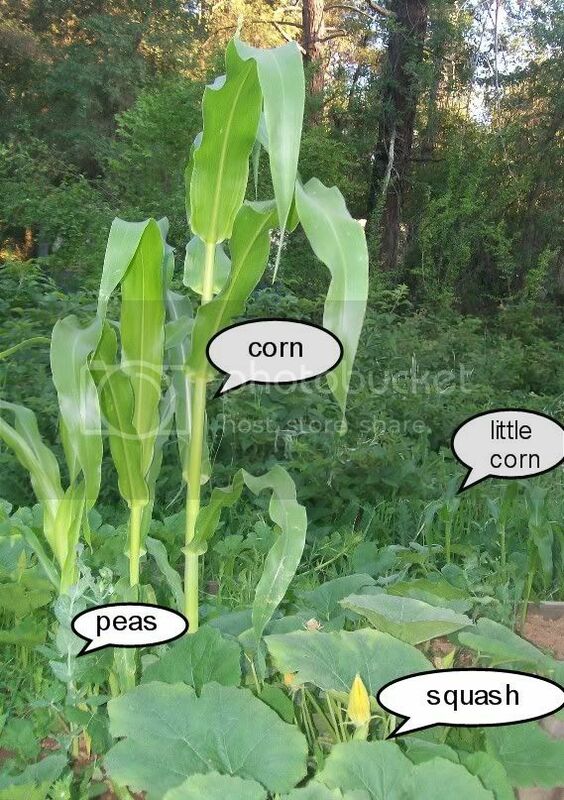 Do you know any Short corn varieties? Corn is really short but getting tassels?